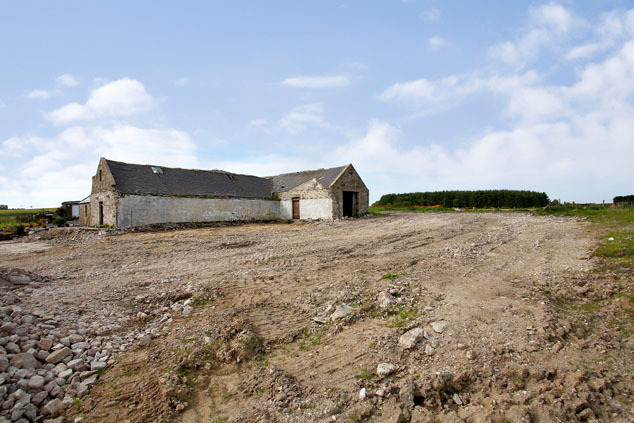 Plot with detached steading with Planning Permission (now lapsed) for 2 x 4 bdrm dwellhouses. Price over £165,000 Entry by arr. Viewing 07873 458580 or contact solicitors. 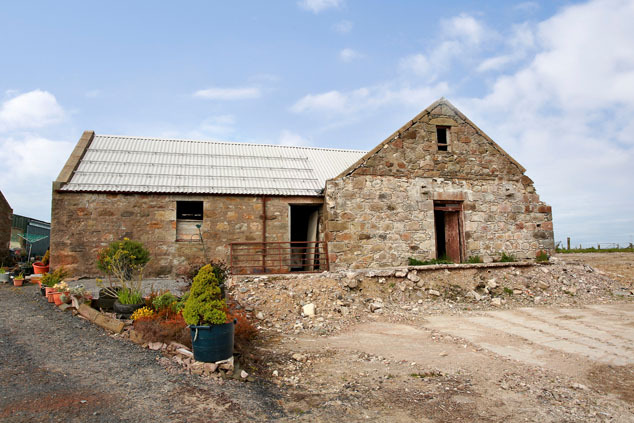 This traditional detached steading occupies a prime site, just off the B999, minutes form the Bridge of Don, Dyce and Aberdeen. On completion, the properties will offer an ideal opportunity to escape the pressures of the city and reside in pleasant country surroundings with glorious views, whilst having ease of access to major road links. Access to house one is via the existing access road shared with the farmhouse and access to house number two will be via the existing road shared with the replacement bungalow. 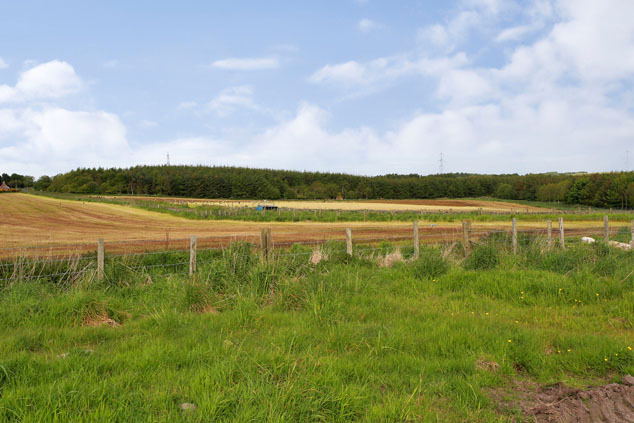 Potterton lies only a short drive from Aberdeen City which is approximately 5 miles away, Aberdeen airport is some 8 miles east and the north east Industrial Estates are also within easy travelling distance of the property. 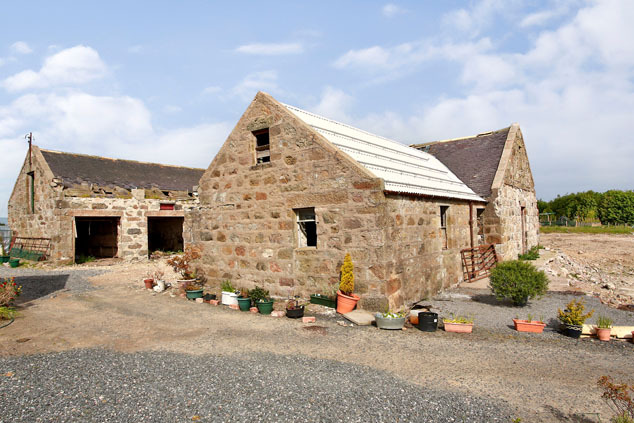 The peaceful village of Potterton is a small community with a local shop, garage and a community centre with a wider range of amenities available in close by Balmedie, Bridge of Don and Aberdeen city. Planning Permission In November 2012, Full Planning Permission was granted for conversion to form two residential units and two detached garages. The planning consent has now lapsed, and the purchaser would require to make their own Local Authority enquiries and submit a fresh application. Full details can be viewed online at the Aberdeenshire Council Planning website, Ref: F/APP/2012/3770. Services Under the conditions of the lapsed planning, drainage would be from a septic tank to be installed by the purchaser, with mains water and services available – for which the purchaser would be responsible for connecting. Directions From Aberdeen, proceed north along the A90 Aberdeen/Peterhead road and turn left at the B&Q roundabout onto the B999 Potterton/Tarves road. Continue past Potterton and turn left onto the B977 road, signed Airport. Continue round the sharp bend to the left, and as you come round the sharp bend to the right, turn right onto a track road, as indicated by our For Sale Board. The steading is located on the right hand side of the track.